Ok, so we&apos;re talking Big Cats today folks. 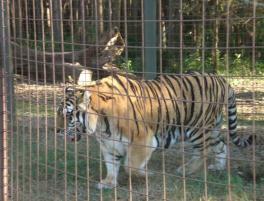 I resisted the urge to title this, "Lions, Tigers and Bears, Oh My! ", but I guess I went ahead and said it anyway. Oh well, back to the cats. I had the opportunity to head out to visit our friends at Big Cat Rescue the other day, and let me tell you, this wasn&apos;t your average, everyday tour people. Granted, you can still do the normal tour (which is AWESOME by the way), but we got up close and personal with the keeper&apos;s tour (as well as the feeding tour, but more about that later). The tour lasted about 2 hours, but it seemed like 20 minutes. We saw some of the coolest big cats ever, including Snorkel the Tiger, Rainey the bobcat, Sabre and Jumanji the black leopards, and Enya the mountain lion, not to mention a ton more. Well, we did more than just see them, we learned all about them in the process of standing mere feet from them. In fact, the educational aspect may have been the coolest part about the tour. 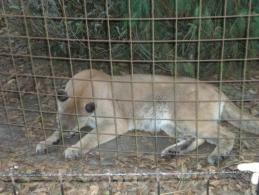 We learned about what they eat, how they are taken care of, and even how they got to become residents at Big Cat Rescue. And here&apos;s a great little tid bit of information for everyone...did you know that mountain are the biggest cat that can actually purr. Now, how many of you actually knew that???? I mean, if some of these photos aren&apos;t proof enough of how close we were, then you may just have to go see it for yourselves. Actually, anyone reading this absolutely has to make it out there to experience this tour. We even made treats for the cats (which were the equivalent of cat nip for house cats...which equals very happy big kitties) that we got to see them indulge in. Plus, toward the end of the tour, there&apos;s a non-cat named Banjo the Binturong that you&apos;ll absolutely adore...especially if you like going to the movies. If you&apos;re curious about that last comment, you&apos;ll just have to take a trip out to Big Cat Rescue and see what I mean. Here&apos;s hint - they have a particular smell that you may want to do some research on. Oh, and he loves marsh mellows! Anyway, enough about me telling you about my trip, head over to their website at www.bigcatrescue.org and start booking your trip out there now! it&apos;s in the heart of Tampa, so no matter where you are, you&apos;ll be close. And stay tuned as we get ready to bring you the updates of the feeding tour that we went on...trust me, you&apos;ll want to read this post! 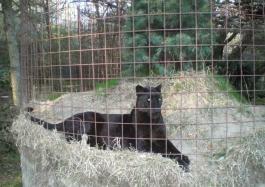 Oh, and if you have already been out to Big Cat Rescue, then stop in and let us know what you thought! I&apos;d love to hear what you thought of it. Until next time, keep checking back for more great things to do in Tampa Bay! And since we are getting in to late spring (which means great Tampa Bay Weather), we will start bringing you the best outdoor Tampa Bay area events and activities.